The UPMC health system in Pittsburgh said this week it will spend $2 billion to build three new, glitzy specialty hospitals that focus on treating specific diseases. But UPMC's plan, and other similar hospital system investments, raises concerns about whether hospital organizations that hold a lot of financial and political power are wasting health care dollars to entrench their positions. 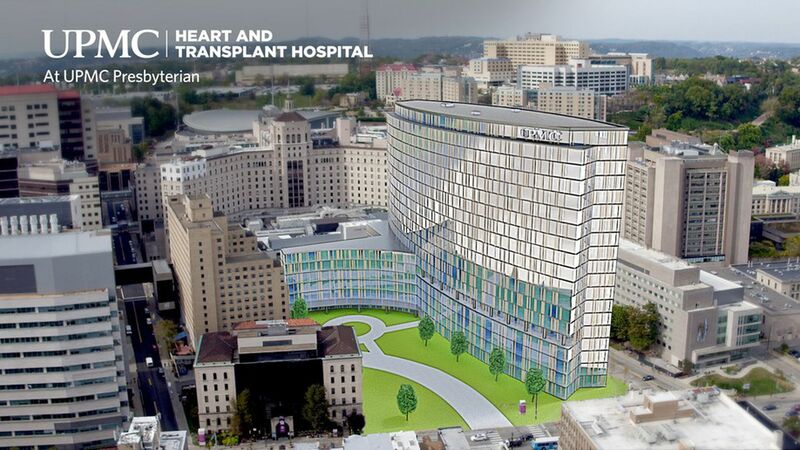 The catch: These kinds of projects can just be ways to maximize revenue, experts say — especially since UPMC will be investing in new treatments that are expensive, and since its new facilities don't really match what the health care system needs. The details: UPMC's investment will result in a heart and transplant hospital, a cancer hospital, and a vision and rehab hospital. Those facilities will be attached to existing UPMC hospitals, and there will be no net addition of inpatient beds. UPMC, previously known as the University of Pittsburgh Medical Center, is more than just a regional system that controls 60% of Pittsburgh's inpatient market. It is a growing not-for-profit behemoth that has more annual revenue ($14.3 billion) than other more commonly known companies like Monsanto, Kellogg and Viacom. And with the new project, UPMC wants to invest in cutting-edge medicine that will attract as many people as possible, which will bring in more revenue. "This isn't just meant for local care, but also national and global care," said Steven Shapiro, UPMC's chief medical and scientific officer. The system also will advertise the specialty hospitals, but a marketing budget hasn't been set. "We will want people to know what a special thing this is," Shapiro added. The bottom line: This kind of investment raises red flags among health policy experts. New treatments advance medicine and science. But they are not cheap, and it's difficult to find out how much procedures cost. "This is to maximize revenue," Gerard Anderson, a health policy professor at Johns Hopkins University and former federal health official, said of UPMC's investment. "The areas that they've moved into are very specialized and therefore very profitable." These types of projects spend billions of dollars on bricks and mortar for inpatient services when the health care system is pushing for more outpatient care. "It doesn't sound [like UPMC is] investing in what many communities need, which is more community-based care, more primary care, more home-based care," said Shannon Brownlee, a senior vice president at the Lown Institute, a think tank that studies the health care system. Shapiro said most of UPMC's investments have been in communities, and the system has an incentive to keep costs down since it owns a health plan. But only a fraction of UPMC's provider revenue comes from its health plan members, according to financial data. It's unclear if the benefits of the new services will be worth the costs, said Martin Gaynor, a health economist at Carnegie Mellon University in Pittsburgh. Ultimately, Gaynor and Brownlee said, the people of Pittsburgh and federal taxpayers will shoulder the cost through higher insurance premiums and through Medicare and Medicaid. UPMC also benefits by issuing tax-exempt debt and not having to pay property taxes on the new buildings. Separating patients into different buildings goes against the mantra of coordinating care more easily. "By having a specialty hospital that focuses on only one illness or one disease, it essentially ignores the comorbidities that many of the expensive people have," Anderson said.